On Tuesday, a group of students participating in the 2018 Young Innovator's Quest (YIQ) visited the biotech academy to learn about biotechnology and acquire some lab skills. During the workshop we focused on familiar topics: the concept of functional DNA, lab safety, DNA amplification, and the ethics of biotechnology. One of the lab activities I planned for the workshop was to amplify by PCR the firefly luciferase from Photinus pyralis, a gene involved in firefly bioluminescence. Fireflies are beetles with an exceptional capability to produce bright flashes of light. They are very common in North America and quite diverse -- there are more than 2,000 reported species of firefly! An exciting development in 2018 was the first report of a high quality firefly genome (see video and paper). 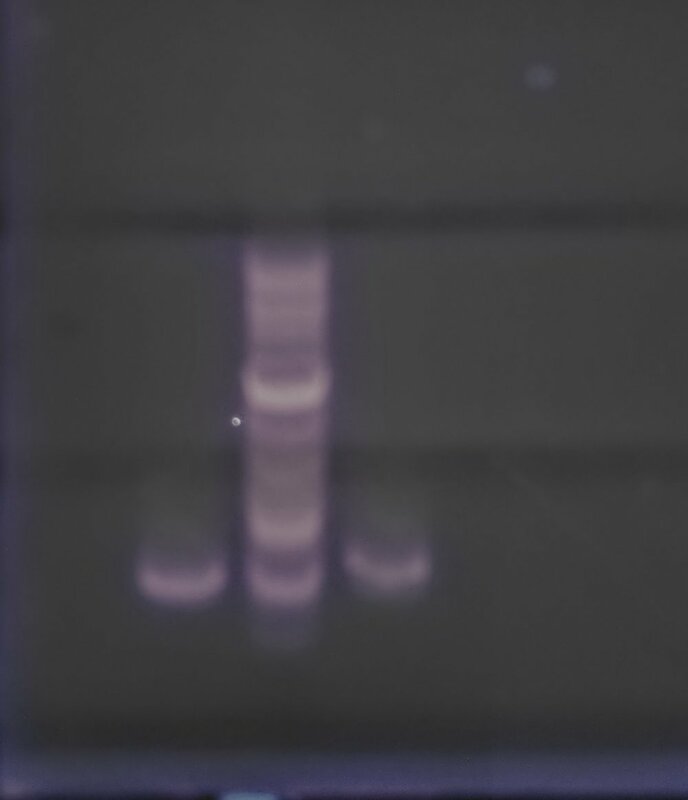 I caught some fireflies in my back yard and extracted their DNA to use for the luciferase PCR reaction. You can see a short video I took of the firefly in a jar flashing its light. Strangely, none of my attempted luciferase PCR reactions were successful. When the PCR reactions failed, I considered the possibility that I had captured a different species of firefly. 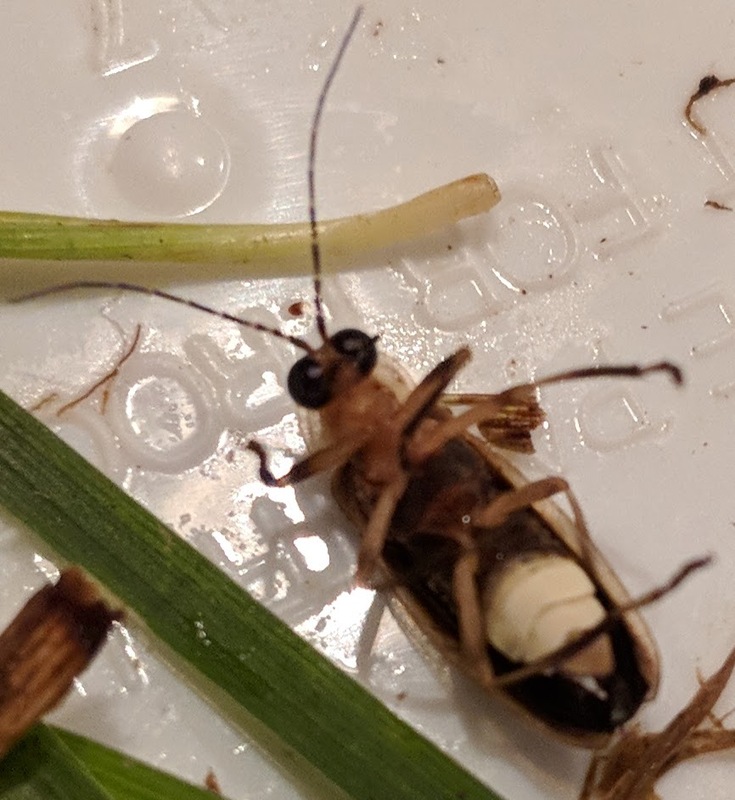 I took several pictures of the firefly and began to search online for more information related to identifying fireflies. It quickly became obvious, that the firefly I caught was not the Big Dipper Firefly! However, I did not have the expertise to determine the species based on my pictures alone. In light of this challenge, we decided to use DNA analysis to determine the species of firefly. 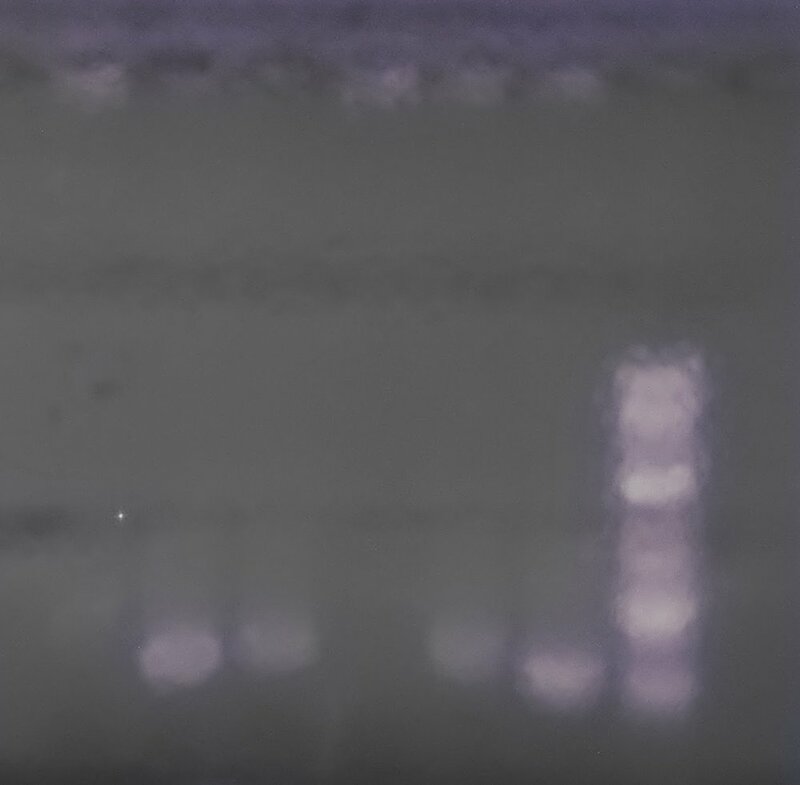 We performed PCR reactions on the commonly used insect barcode, the mitochondrial cytochrome oxidase gene (mt COI). The students setup PCR reactions and many of the students successfully amplified the mtCOI of the unknown firefly species. The DNA was purified and sent for sequence analysis. The sequencing results are shown below and were very conclusive. The species of firefly I caught was actually Photuris quadrifulgens -- a very different type of firefly. These Photuris fireflies are predators of other fireflies and trick the poor Big Dipper Fireflies with their lanterns into flying close to them. Once they get close the Photuris catches and eats the Big Dipper Firefly! One interesting thing is that despite how the fireflies look similar and are both beetles...based on the DNA analysis they are as different from each other as cats and dogs. The reason my luciferase PCR reaction failed is because the luciferase gene of Photuris is only ~70% sequence identical to Photinus pyralis, which is much too low for the primers to hybridize correctly.